Hazra Bagan is a small picturesque village in West Bengal’s Paschim Midnapore district. 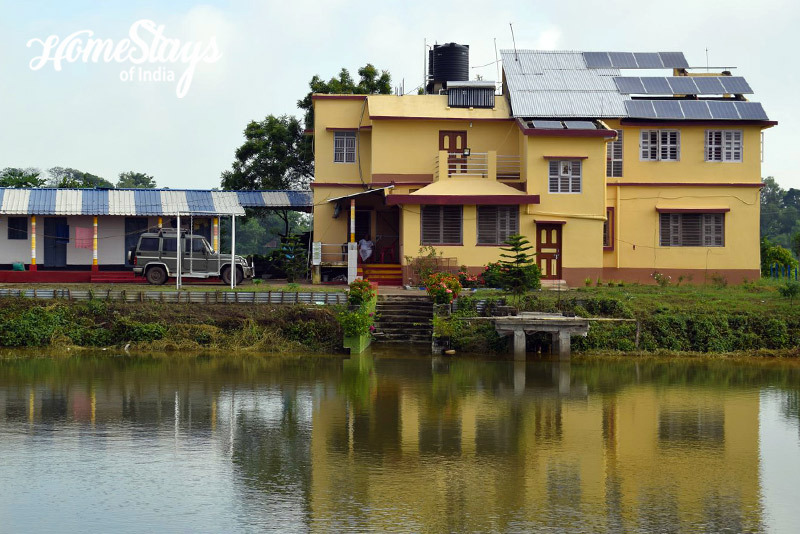 With lush green fields, clean fresh air and the splendid beauty of the natural surroundings, it is an ideal place to enjoy holiday with your family in a rural setting. It is just 1.5 km for Naya which is home to around 250 patuas, a unique community of folk artistes who are painters, lyricists, singers and performers all rolled into one. These traditional artists specialize in the ancient folk art of pata chitra, a type of narrative scroll painting. The village can be visited in all seasons round the year. Unobstructed view of changing colors all around the seasons – light green in sowing season to deep green and finally golden yellow in harvesting time is an enthralling beauty worth seeing. Rainy season has added attraction of viewing the beauty of rains in rural surroundings. It is well connected by all weather motorable road & rail connections. Balichak is the nearest railway station. 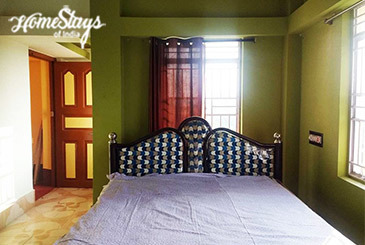 Set deep inside rural Bengal, its actually a farm stay, immersed in incredible natural beauty, crowned with an orchard having more than 30 varieties of fruit bearing plants that are planted to ensure a regular supply of fruits around the year. Our farm has a big pond at the center with walkway around. One can view surroundings and the sunset straight from here. 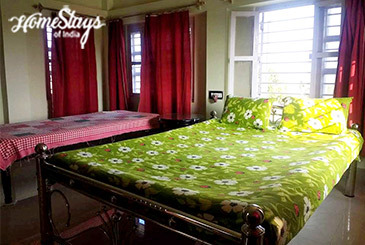 We have 4 rooms for the guests; one is a family room with a king size double bed and a single bed with attached bath, 2 rooms with double bed and attached bath and 1 double bed room with common bath. We can accommodate a group of 8-10 people at a time. There is specious lawn also that can be used as play ground as well. You will be hosted by Sunil Hazra, an Engineer by profession, who is a very down to earth person and loves to talk about nature, farming and social issues. His is a family of dreamers who still believe in fairy tales. Here you will be taken care of like a family guest. 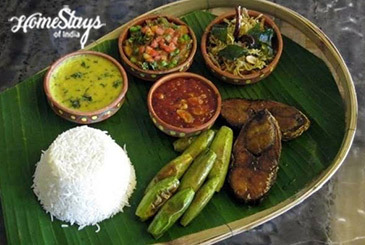 We serve simple, authentic homemade Bengali food. Our family cook is inspired by the tradition and passion of centuries old home cooking. 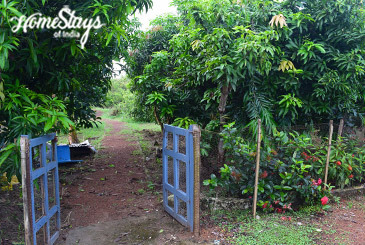 You get Toast, Omlette, Poori Sabji & seasonal fresh fruit from the garden. Lunch and dinner can be a mix of Rice, Roti, Dal, Bhaji, 2 seasonal Veg, local Fish, Chichen, Chutney and Papad. Naya Village (1.5 km) – Villagers have revived the form of Pata Chitra art from the verge of extinction & have presented before the world in the form of a new & modern art. They make the colors of their own from various locally available vegetables & draw sequences mostly from mythological stories in scrolls & present before the audience in attractive musical forms. Some of the artists have also received awards from The Presidents of India. 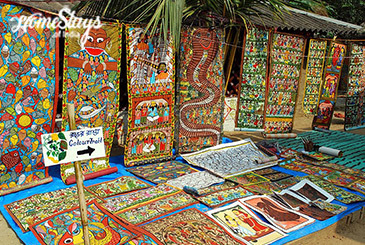 Sabang (22 km) – Famous for its Madur craft in Bengal, the word Madur is a generic for floor mats. Mats are an integral part of Bengal’s lifestyle. 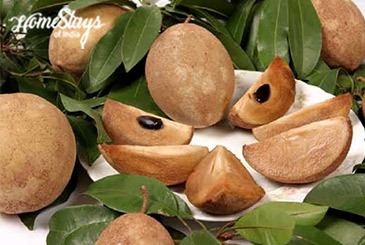 Madur is a tradition and pride of Medinipur. Women of the households are involved in weaving this beautiful craft. It is sold in the local markets for day to day use and also transported to adjoining states to be used for ritualistic purposes. With the shift in market needs, the weaves are now also used for making decorative and utilitarian items.